Japan is never more beautiful than during the season of cherry blossom festivals. From the beginning of spring, the land erupts with tiny pink, white and red sakura or cherry blossoms. During this time, it appears as if puffy pink clouds are hovering across the horizon, just above the ground. Gentle breezes whisk the flowers off the branches, leaving the petals to float in a dream-like descent. Once the cherry blossoms bloom, they only stay in full flower for about one to two weeks. Each region blooms during a different time depending on the temperature of the season. Those weeks might be as early as March or as late as May. The Japanese enjoy the beauty as long as they can before the flowers fade. For example, in Nagano in central Japan, Takato Castle stands on grounds with snow-capped mountains in the background. The lands around the castle have 1,500 pink cherry trees, many over 130 years old. Here, the flowers bloom later in the spring. As a result, the Takato Jyoushi Park Cherry Blossom Festivals occur usually in April to May. 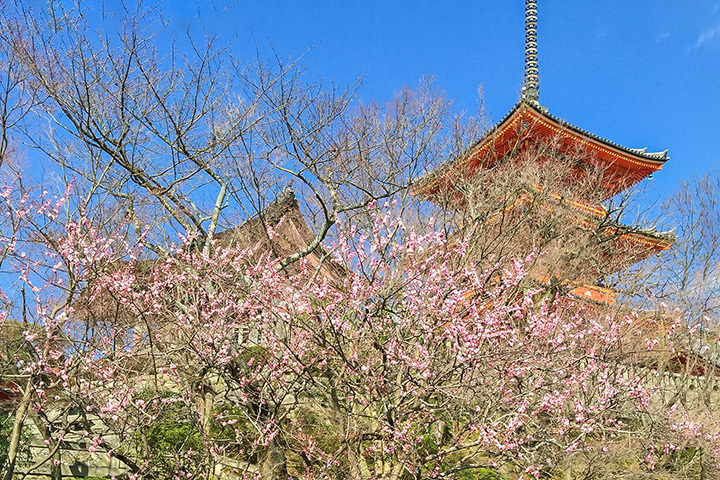 In the southern regions, Kyushu is a popular place to enjoy the luxuriant cherry blossoms. Here, many parks and castles provide magnificent views of the cherry trees. The flowers bloom earlier in this region from March to early April. Kumamoto Castle in Kyushu is a popular location. This is because it still looks the same as when builders constructed it in 1607. The castle itself is worth exploring and its gardens contains over 1,000 cherry trees, adding to its majestic ambience. During the cherry blossom festivals, families and friends will gather in the parks for a hanami. The word hanami literally means viewing flowers. It dates back hundreds of years when Japanese royalty would dine under cherry blossom trees and write poetry. In today’s hanami, groups gather in parks, enjoy picnics together, drink sake and watch performing arts. Here, vendors sell handmade crafts, regional wares and food. When the festivals occur, locals and visitors will experience the fleeting beauty of Japan’s most beloved flower, the sakura.